With the dog days of summer fast approaching it is time to take a look at some high performance takes on the humble tech tee, shorts and visors. Technical fabrics have gone way beyond the old cotton t-shirt, nylon run short, and even those synthetic technical tees we get at races. While Merino wool and Merino wool blends are fine for more moderate temperatures when things push 80 F they are a bit much for me. You might say someone would be crazy to pay $40, $60, or even $90 for a tee shirt and what differences could there really be? 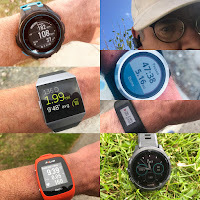 While the technology in these high performance pieces is sometimes shrouded in marketing talk and proprietary mystery, RoadTrailRun has found the comfort of the following pieces, in not only warm temperatures, but also across a wide range of temperatures to be outstanding. 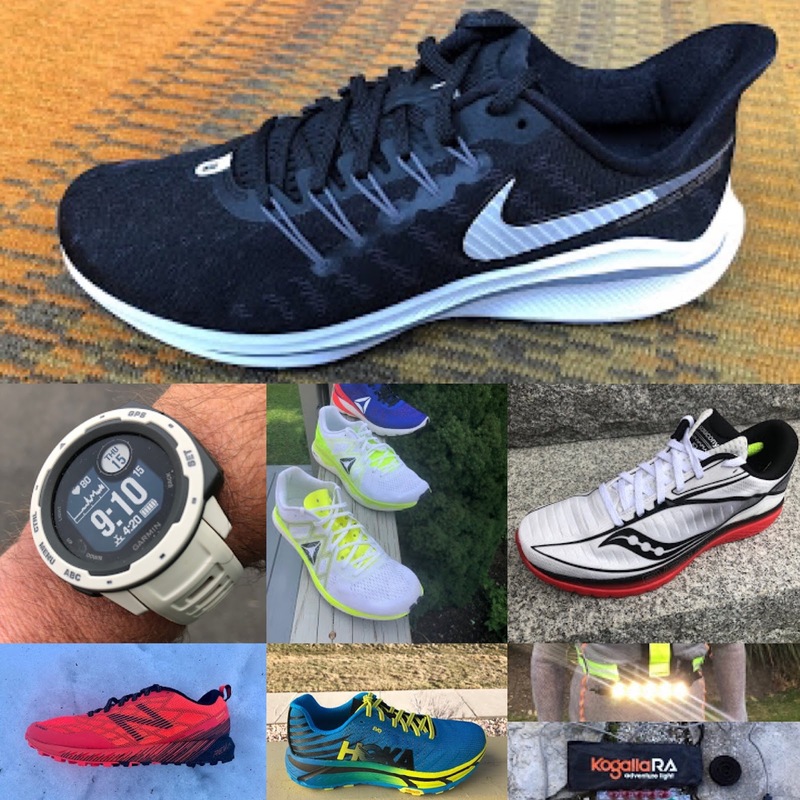 "AeroReact is uniquely engineered to adapt to changes in a runner’s temperature. Supporting the body’s existing thermoregulation capabilities, the textile’s bi-component yarn senses moisture vapor and opens its structure to maximize breathability." In my testing I can say it works not only in the comfort it provides, but visibly so. We were able to clearly see the mesh was far more open when moisture vapor, sweat, was present. To illustrate see the images from Nike below. What does this translate to? 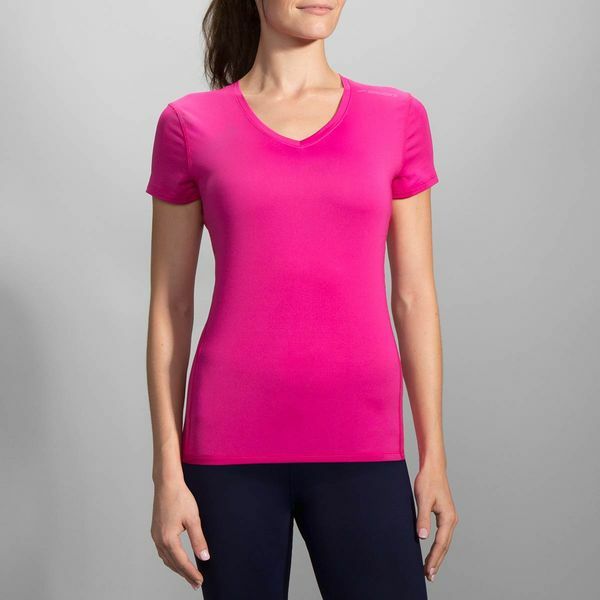 The shirt is a knit mesh which sits comfortably on the skin, not sticky or slick feeling when dry or wet. It even has a small key pocket on the side. As moisture vapor occurs from sweat there is a distinct cooling effect in damp areas. Interestingly dampness seems to remain concentrated in high sweat areas and doesn't seem to spread as fast as with many fabrics on moderately warm breezy runs. The fabric dries rapidly. It's an ideal solution for variable conditions, for example trail running, as well as warm days. Available in t-shirts, singlets, and long sleeve from Nike here . The long sleeve is also available from Backcountry.com at the links below. Brooks was kind enough to give me long sleeve shirt ($60) from their Steady Collection at Outdoor Retailer last January. Steady is also available in sleeveless ($45) and t-shirt ($50) styles for men and women. It was a few weeks before I looked at it and was super pleased to see the Steady was a Brooks DriLayer, Powered by CoolCore. CoolCore is a New Hampshire company that I have followed for several years. Their patented fabrics truly have a cooling effect when moist and especially if there is any breeze. I have previously tried their arm sleeves, cooling towel and a headband but this was the first shirt with their fabric I had seen. 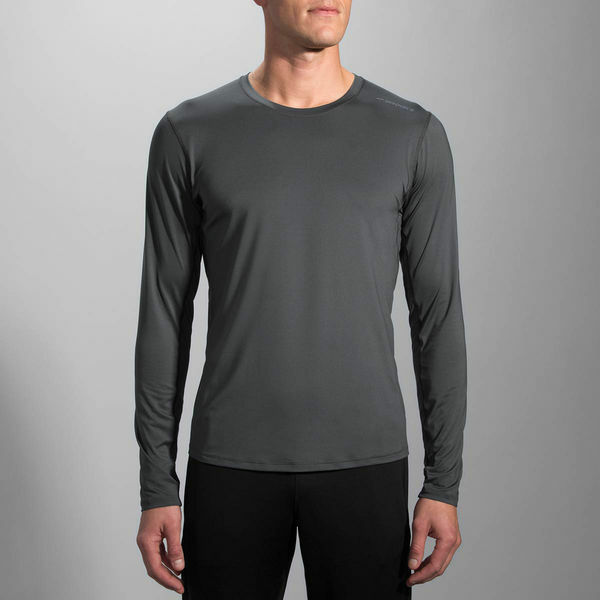 The long sleeve is a thin woven fabric, with four way stretch and bit slick in the front with very fine mesh in the back. It has thumb loop holes. I have worn the Steady in cool and cold weather as well as warmer temps and it has proven equally effective in all conditions. Brooks says: "When worn alone, the DriLayer® Steady thermoregulation fabric wicks moisture and redistributes your sweat, using it to keep you up to 30% cooler." Never overheated or chilled it does what the CoolCore fabric blend claims to do; provide without chemical treatments, a thermo regulating environment which allows rapid evaporation, wicking and moisture transportation. In warm conditions the evaporation, particularly with a breeze, is actually chilling, very neat, and the long sleeves can provide a measure of sun protection as well. In cold conditions the moisture is moved off the skin preventing chills. The only thing I might improve is to make the pieces more form fitting. The snug arm sleeves with CoolCore I have truly are chilling and then some. The Steady is available from REI at the links below. The humble sock continues to evolve with seamless toes, continuous weaving of differing densities and blends of synthetics, merino, and low friction Olefin. While I tend to prefer a lightly cushioned sock over a continuous thin one, the Compressport Pro Racing Sock combines both, a thin very thin almost lady's stocking compressive mesh with woven in cushioning in the form of dots in all the right places. A great choice for very warm days or those shoes that fit snug. Also available in thicker road and trail versions. There are other looks, all wild! Order direct from Compressport in Switzerland. I received orders in 4 business days to the US. The Nike Elite Running Quarter Cushion ($16) goes a different direction with a relatively dense front of the foot padding of dots and a clever ribbed knit over the top of the foot to reduce lace pressure and ventilate. Both elements work brilliantly making the Elite a great trail sock option. Extensive reflective printing at the heel will keep you safe on those night runs. Socks are clearly no longer an "after thought" for Nike as I have found in the past! Made in USA, Swiftwick socks have always felt a little thin and harsh on the foot to me. Their new Swiftwick Maxus, their first cushioned sock, combines a very comfortable, completely seamless toe area made of very dense yet very soft 200 needle knit modified polyester which is claimed to wick 40% better than comparable materials. 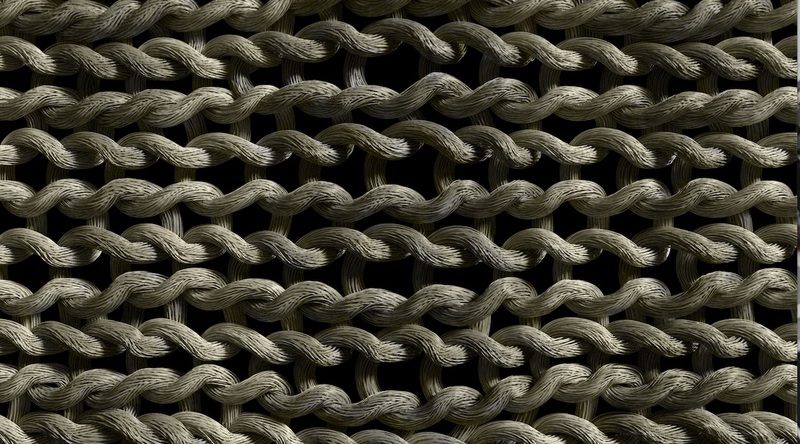 Over the top of the foot is a mesh of very, very low moisture absorbing (less than 0.01% of its weight) Olefin. 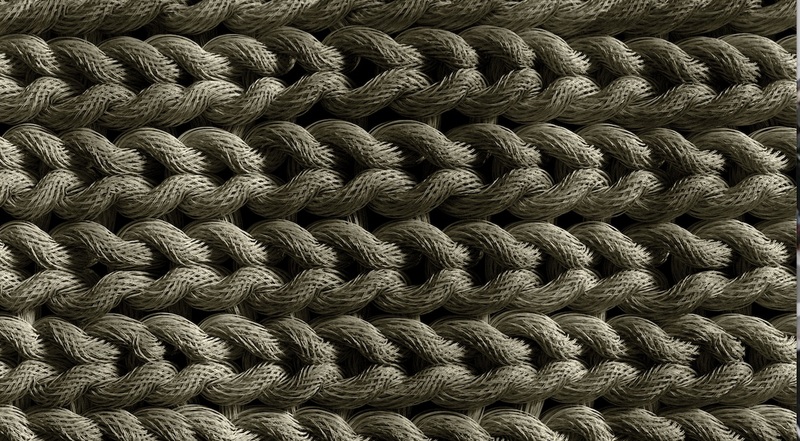 No chemicals are used to treat the fabric so as to wick away moisture. In my testing my feet have remained dry and the socks with their moderate cushioning are just right for even snugger fitting shoes. I sweat a lot and wear glasses so keeping sweat out of my eyes is critical. I have tried literally dozens of hats, visors, and headbands in a quest for the ultimate solution. Much as with the socks and apparel, the arms race continues and I have found two great options for 2016. 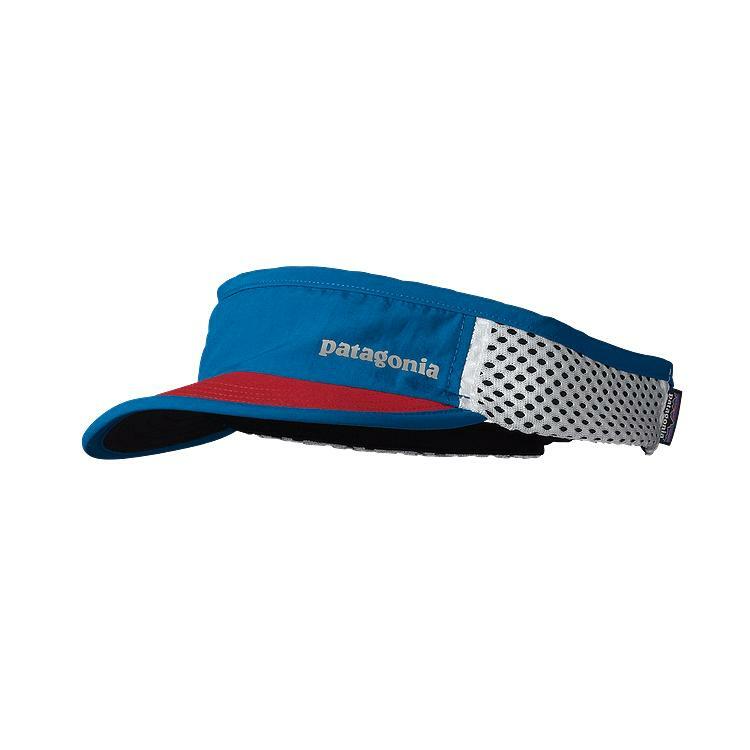 This totally crushable/foldable visor is carefully designed to absorb sweat, protect the eyes from sun and with its short bill allow un restricted vision up slope. Even the sides are mesh. A bit comical in the red, white and blue color it is also available in black and an underwater blue as well as cap versions. As previously stated, this visor is the only headwear that has passed my Sam Test, one hour on the treadmill without sweat dripping in the eyes. Yes, it was soaked, but nothing reached my eyes! The North Face Better than Naked Visor checks several boxes for me. 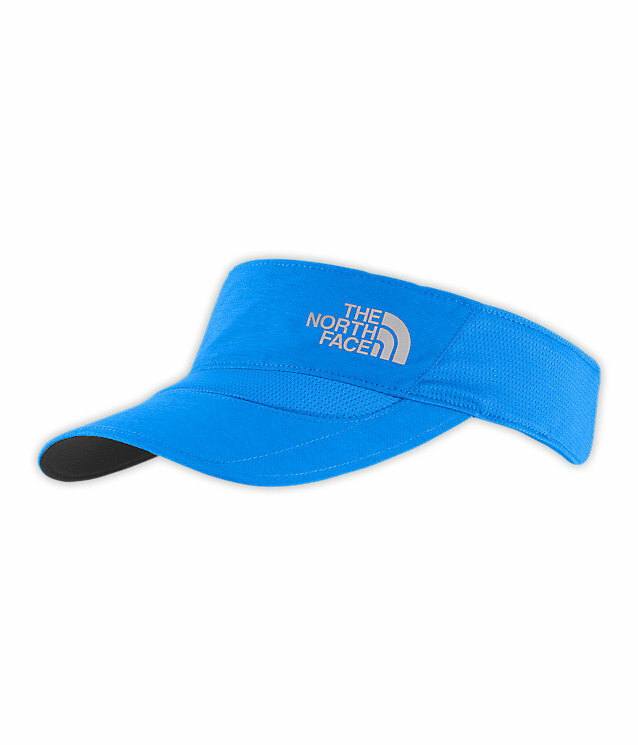 It absorbs sweat very well via the absorbent head band and a clever foam insert in the brim. The brim is curved, stiff and fairly long providing great shade to the eyes and face. Instead of snaps the headband is a wide comfortable elastic material providing not only more sweat absorbing surface but an always dialed in fit, pulled low or moved up on the head. Finally it looks good. The Nike AeroReact, Nike Elite Cushion and both visors were personal purchases. Other items provided by the manufacturers. The opinions herein are entirely my own. Many of the items featured in this article are available at the links below. Sales support RoadTrailRun. $90 for a Nike T or any other Brand for that matter. Seriously? Who would be that stupid? Is it going to make you faster? I guess this is for the trust fund people or the hobby jogging attorneys and doctors. Only thing I can figure. If you have a family you are trying to maintain & feed, this is revolting. Definitely a first world problem.